Boston Harborfest, the country’s largest July 4th festival, takes place from July 1st through 4th. Much of the activity is centered around the waterfront and included an excellent fireworks display on July 2nd. Since we’d had such a slow day after eleven hours spent touring Boston Light and then walking the Freedom Trail :), we took the dinghy out for a quick harbor tour to check out the festivities and finished the day watching the fireworks from our slip at Charlestown Marina. This is Sub Sea Research’s submarine perched on an East Boston wharf. 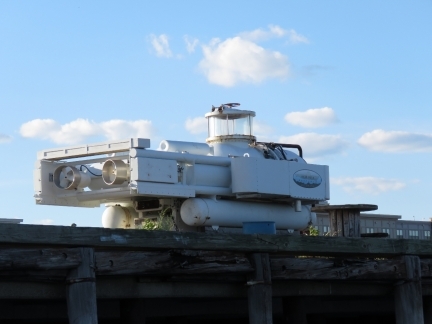 The underwater exploration company specializes in shipwreck recovery. 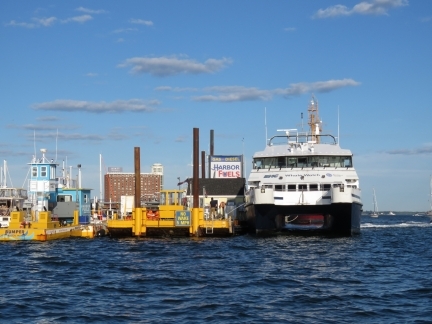 Sub Sea currently is working on the recovery of the SS Port Nicholson, a British ship sunk in World War II off the coast of Maine with a cargo of platinum bars valued at three to four billion dollars. A New England Aquarium Whale Watch boat fueling at Harbor Fuels at the Boston Harbor Shipyard and Marina. 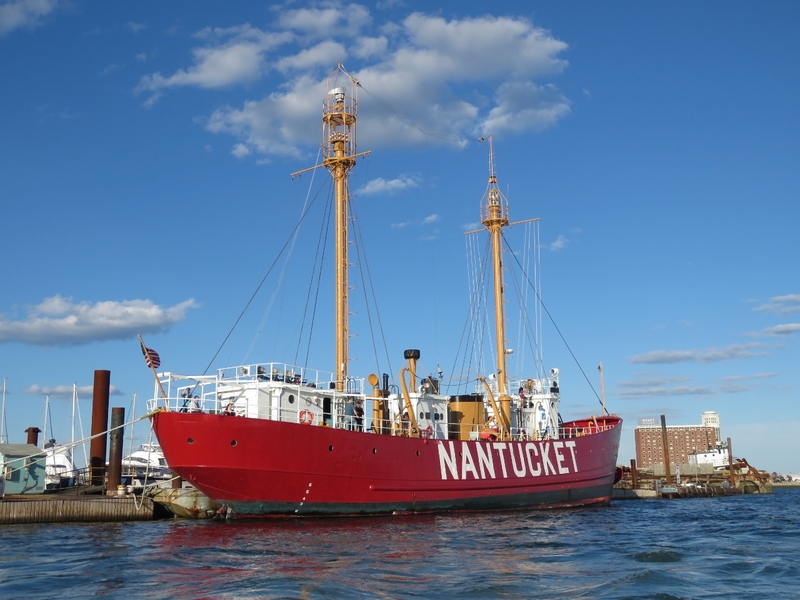 The lightship Nantucket/LV-112 moored at the Boston Harbor Shipyard and Marina. It is the largest and most expensive lightship ever built in the US, likely due to the British White Ship line funding the construction after ramming and sinking the predecessor in thick fog. 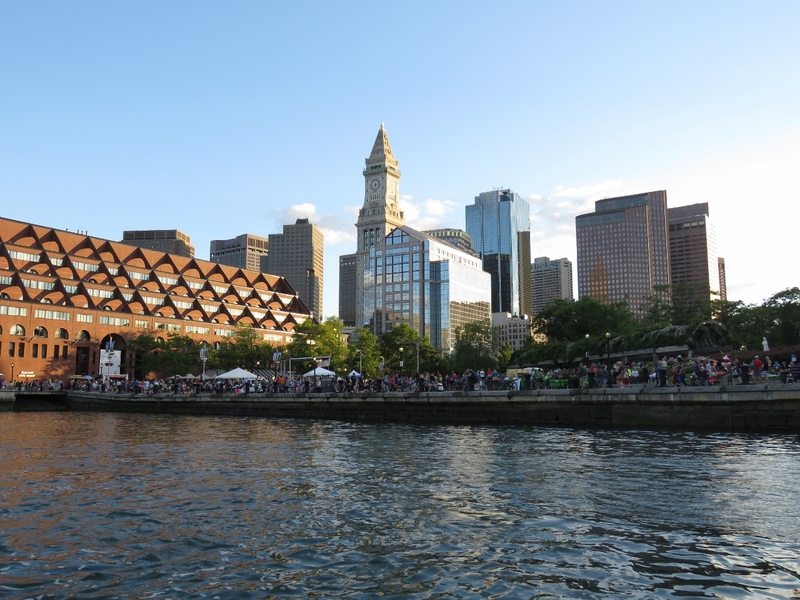 The ship now is a National Historic Site and a museum. 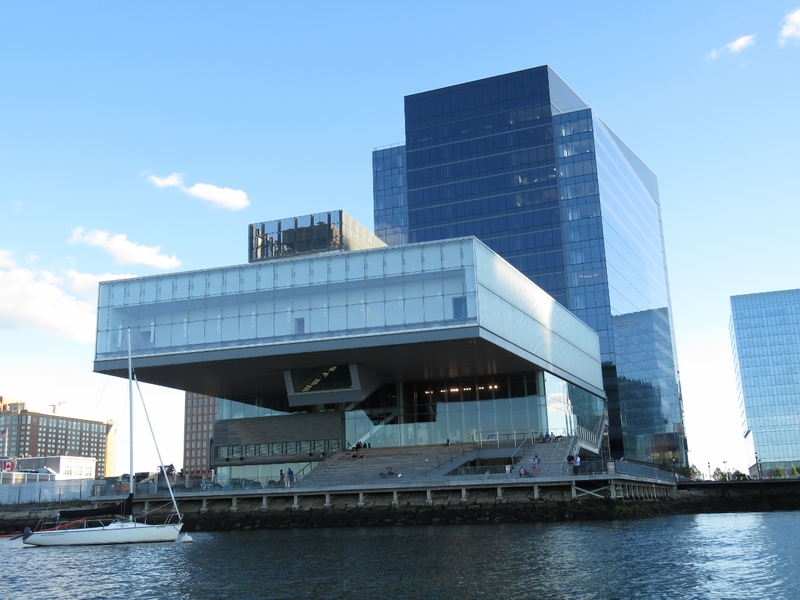 Another view to the dramatic Institute of Contemporary Art building above Fan Pier Marina in Seaport. 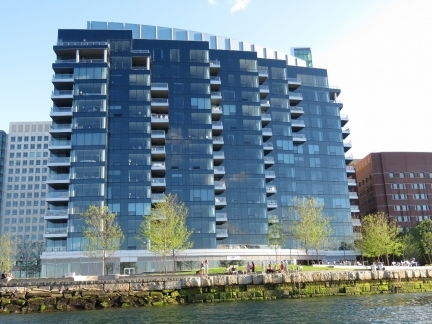 Beautiful waterfront condos in Seaport. 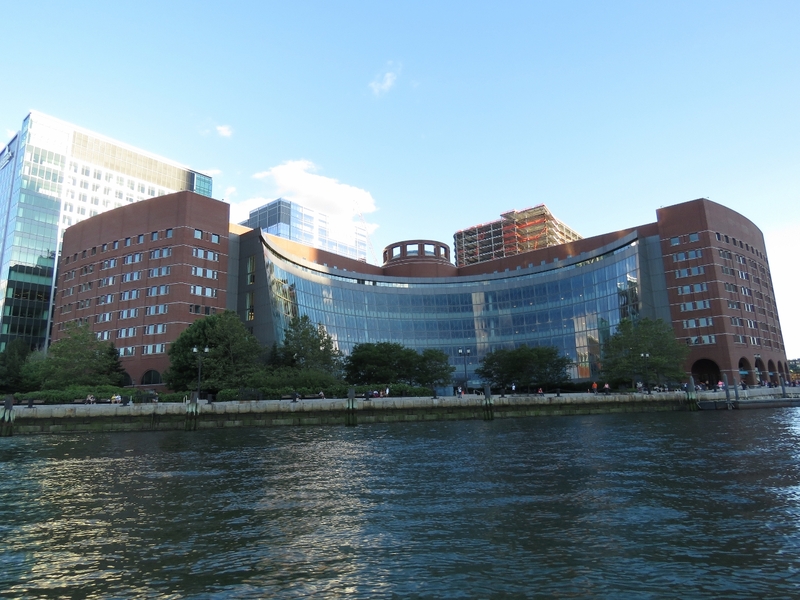 The dramatic John Joseph Moakley United States Courthouse was completed in 1999 at a cost of $170 million and has won many design awards. 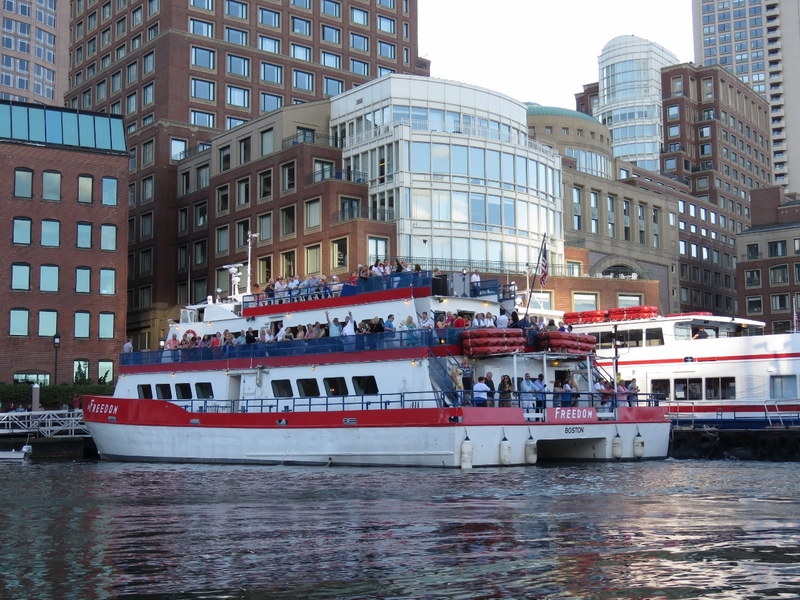 The tour boat Freedom heading out from Rowe’s Wharf with a load of passengers. 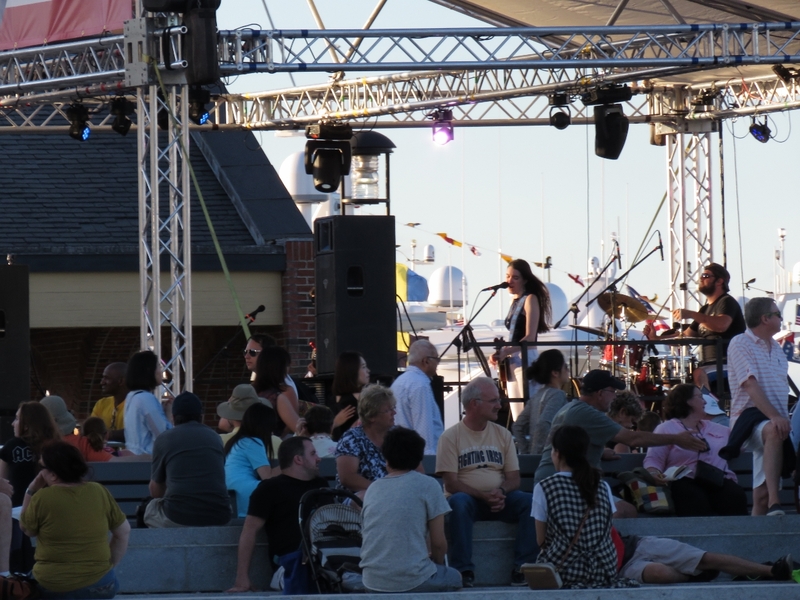 The Harborfest music concert on Long Wharf in full swing. 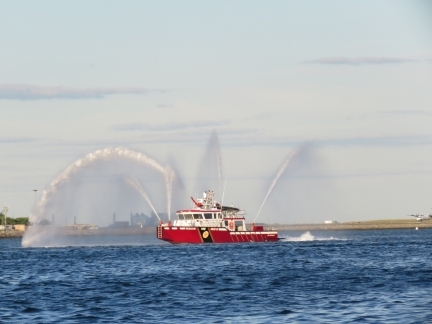 The Boston Fire Department’s vessel John S. Damrell has five water cannons capable of shooting about 13,000 gallons of water per minute at a distance of 450 feet, and can travel at 35 knots. 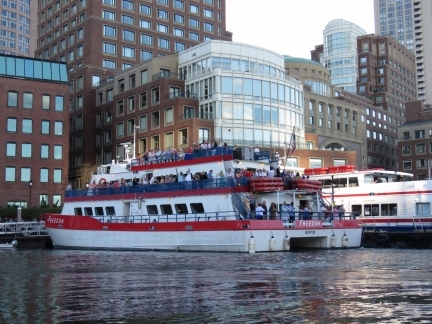 The ship is named for a former department chief who battled Boston’s Great Fire of 1872. 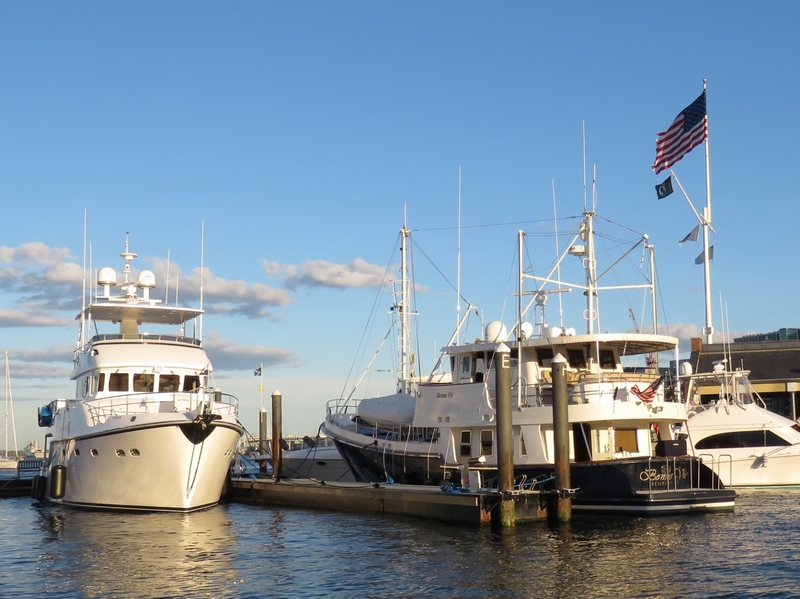 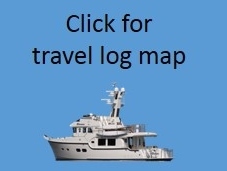 Nordhavn 6202 Bonne Vie joined Nordhavn 60 Jupiter at Boston Waterboat Marina. Bonne Vie was once owned by author/singer Jimmy Buffett and called Continental Drifter. Crowds at Columbus Park taking in another Harborfest concert and staking their spot for the evening’s fireworks display. 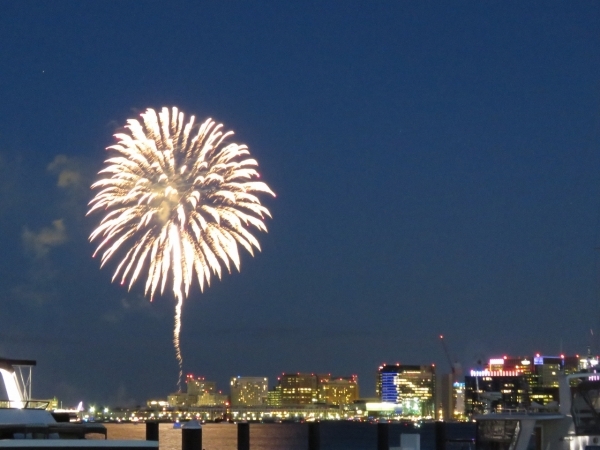 From our boat deck in Charlestown Marina we had an excellent view to the impressive July 2nd Harborfest Fireworks display.